Please don't hesitate to contact us with any questions you might have or simply just to say hi! Or call +1 (323) 538-0908 with any questions or concerns. 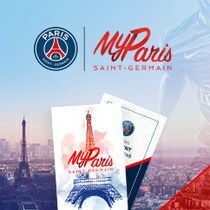 Following a fantastic season full of emotion and trophies, Paris Saint-Germain is launching MYPARIS SAINT-GERMAIN, a membership programme aimed at supporters of the Club in France and around the world. The newly-renovated Hotel Novotel Paris Tour Eiffel will be our homebase for the Tour. A four-star bi-lingual hotel that is walking distance from the Eiffel Tower, Parc Des Princes and even the Arc de Triomphe, the Novotel is central to all our activities. The delicious breakfast buffet just makes it a perfect Parisien paradise. Club: Paris Saint-Germain FC | Opening: 1972 | Capacity: 48,527 seats | Description: Parc des Princes was built to provide the city of Paris with a modern venue for important rugby and football matches.